Criminal cases are often filed when a wrongful death occurs, leading people to wonder if they can file a civil case. The answer is yes. A criminal case does not negate the right of a victim’s family to seek compensation for the death. In some cases, a civil case is easier to prove than a criminal case, which requires much more evidence. For example, Trayvon Martin’s killer was prosecuted in Florida and acquitted in 2013. Martin’s family then filed a civil lawsuit and settled the case, receiving more than a million dollars in damages. When a family files a wrongful death lawsuit, they are seeing to recover compensation for their loss. In most cases, the suit is filed by the surviving spouse or children. In some states, grandparents and other family members are also permitted to file a civil lawsuit. While state laws may vary, there are commonalities, including the causes of wrongful death. One of the most common causes of a wrongful death is vehicle collisions. Wrongful deaths in these cases may be attributed to drunk driving, road construction and aggressive drivers. When this type of accident occurs, the family of the victim may choose to file a civil suit against the at-fault driver. In some instances, an accident involving a semi-truck is due to the negligence or error of the truck driver. When this occurs, the victim’s family may have the right to be compensated. 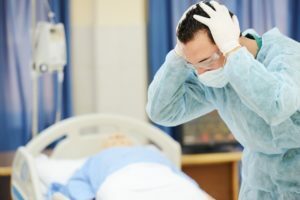 Damages awarded may cover medical bills incurred before the victim’s passing, a loss of earnings that the victim would have brought to the family, and burial expenses. Bicycle accidents occur daily across the nation. In some cases, these accidents are the fault of the bicycle rider’s inattention. In other cases, the accidents are caused by a distracted driver or a driver who broke some traffic law. If the latter is the case, a wrongful death suit may be filed. When a person visits a healthcare provider, they have the right to assume that they will be diagnosed and treated appropriately. When a medical professional fails to perform with an accepted standard of care, medical malpractice may occur. In the most serious of instances, the patient loses their life and a family loses a loved member. Medical malpractice may take the form of a missed diagnosis, a failure to supply proper treatment or even a prescription mistake. When a consumer purchases a product and uses it correctly, they do so with the assumption that the product will work as intended. When a product fails and a person loses their life as a result, a wrongful death is said to have occurred. Whether the death was due to a defective products or a failure to warn of a hazard, the family has the right to compensation. Every employer has a duty to keep their workplace free of hazards that may cause injury or death to employees. When a death is the result of an unsafe workplace, the surviving family members have a legal right to file suit. The death may have been due to improper training, failing machines or any number of hazards that would cause a judge to award the family compensatory damages. When a person chooses to commit a crime, they may be risking the life of another. For example, a person may choose to drive while intoxicated and crash into an innocent motorist. Or, they could commit an armed robbery, and end up killing a victim. This person could be charged criminally, and they may also face a civil lawsuit filed by the victim’s family. A wrongful death lawsuit may stem from any number of accidents, errors or intentional acts. If you have experienced the death of a loved one in Atlanta and believe that someone else is to blame, you may be entitled to compensation. Medical bills, funeral and burial expenses and a loss of livelihood may all stem from the wrongful death of a family member. Your family does not have to suffer financially due to a death. You have the legal right to seek compensation for the death of your family member. Call our office today to speak with a member of our experienced team. We will review the details of the incident and advise you of your options. We will stand by you in court and fight to ensure that your rights are protected.